Represent everybody's favorite knife company with the Buck Crew Neck Tee. 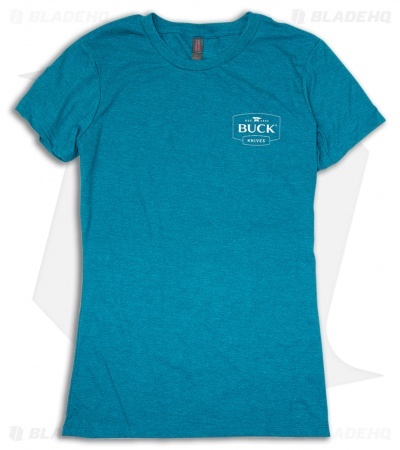 It's made from 70% cotton, 30% polyester construction for a lightweight, breathable feel. The shirt comes in teal with short sleeves and a white Buck logo on front. This listing is for a Women's Extra Large size.